I thought I had posted previously about how much I love the Lonely Island, but apparently not. They have a new album coming out soon, here are the first two songs off it. 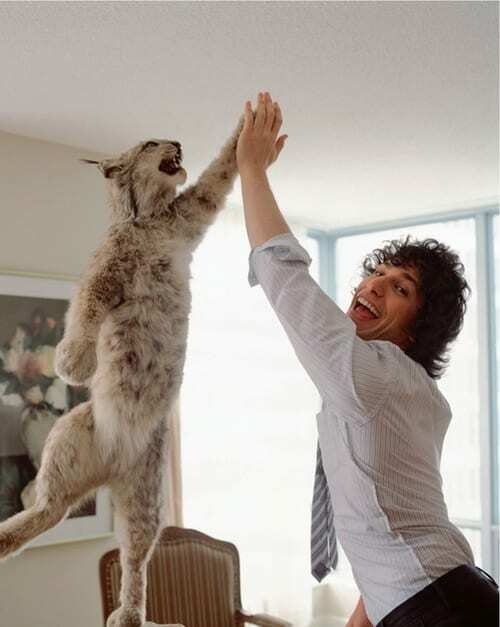 In case you can’t watch those videos, heres a picture of Andy Samberg highfiving a cat. I love this picture so much, its my screen saver on my iPhone. Hahaha, actually amazing. This makes me think Akon is less of a tool than I assumed he was based on his music. Also, it’s true, that is indeed her screensaver. Gosh he just looks so happy high-fiving a cat he must be a nice chap!